When it comes to coffee, taste is king – but could chemistry give us a shortcut to the perfect blend? We’ve been working on creating a coffee blend “to spec,” i.e. that meets a client’s precise requirements. But rather than going straight to the cupping table, we first headed to the lab to conduct a molecular analysis. And in doing so, we were not only able to suggest several blends to our client, but also learned a great deal about the chemistry behind delicious coffee. Allow us to share our results with you. Sci Fi Food, our company, engages in research and innovation within the food industry. And a commercial coffee roaster recently contracted us to develop a new brand of blended coffee. Our brief was that it should be different, inviting, with a fresh character, and cost within a specific amount. This was the perfect challenge for our team: a roaster with expertise in coffee flavor and a food scientist with previous research experience in coffee. 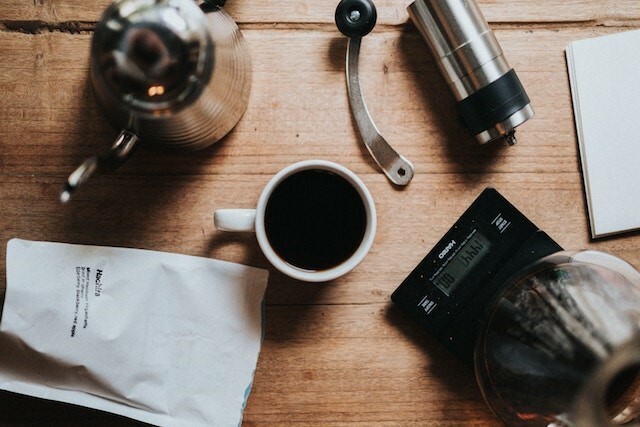 Typically, when designing a blend, a roaster will order many coffee samples that fit their budget, blend these samples in different ratios and taste (cup) them to find the best one among them. However, this method requires a lot of work. Since we always strive for efficiency, our team looked for a better way to create the perfect coffee blend. And knowing the chemical composition of coffee allows us to make predictions regarding flavor. So, we conducted a chemical analysis of our coffee samples. Our hope was that this method would allow us to narrow down the potential blends that we needed to cup. We were very happy with the results. We could not make accurate predictions on the blends’ final flavors. However, we could test flavor attributes, such as bitterness or acidity, and select blends with favorable attributes ahead of the cupping. In doing this, we effectively excluded certain blends and instead focused on those that we believed were promising options. We began by analyzing five widely available commercial coffees blends from Norway and one higher-grade, lighter-roasted blend from a specialty roaster. We also analyzed roasted samples of the single origin coffees we were considering blending, in addition to their green beans. 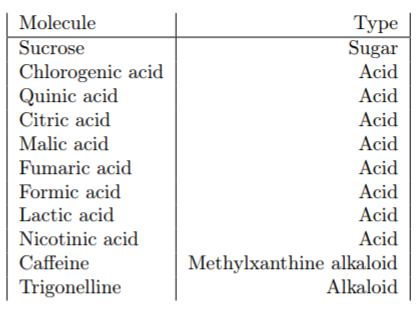 We pre-selected 11 chemical compounds (see table below) naturally found in coffee which, according to the scientific literature, would have the greatest impact on coffee flavor. We also scanned for other compounds that were noticeably more or less present in certain samples. To analyze the samples, we used a powerful spectrometer at the MR Core Facility at the Norwegian University of Science and Technology (NTNU), funded by the Faculty of Medicine at NTNU and the Central Norway Regional Health Authority. 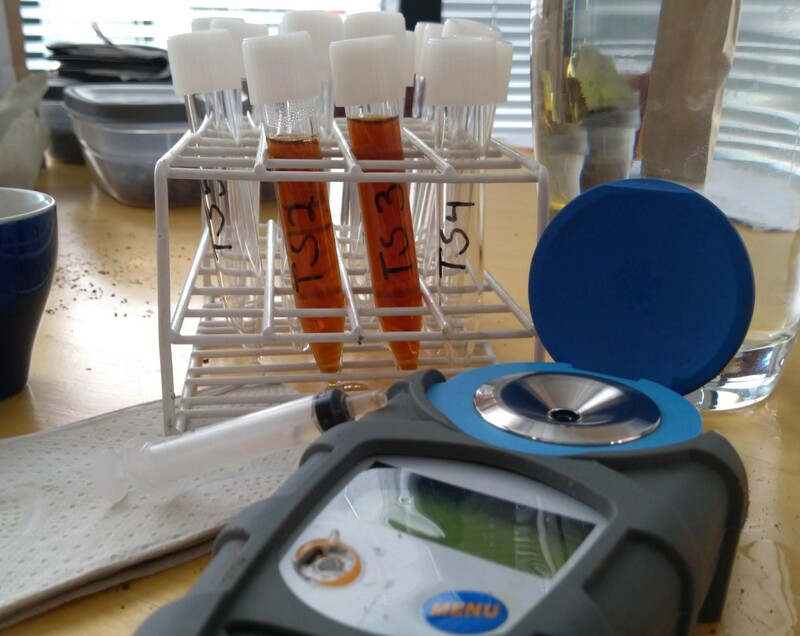 This method is rarely used for food analysis, but we chose it because it allows the simultaneous analysis of many molecules within the coffee without extensive lab processing. Our samples proved to be chemically complex; we suffered from a severe case of too much data. There is still a lot of information we plan to extract and, of course, we continue to study our cupping notes to find new correlations. But what we found out, even at this early stage, was fascinating. And three things deserve particular attention: the sugars, the acids, and the caffeine. The only sugar we pre-selected was sucrose, or household sugar. Previously published scientific papers show that green coffee beans contain a high concentration of sucrose. In the early stages of the roasting process, this sucrose is transformed to flavor molecules which are often linked to the sour and bitter taste of coffee. It is no surprise, then, that sucrose has also been linked to the overall quality of green coffee beans (and therefore the roasted product). In our green coffee, we found more sucrose than we had expected. Yet in the roasted coffee samples, the concentration of sucrose had greatly decreased. We also noticed that the sample of lighter-roasted coffee from the specialty roaster had considerably more sucrose (0.38 g/L) than the commercial blends (0.11–0.17 g/L). This would seem to confirm that sucrose degrades at the start of the roasting process. This might also support the idea that there is a link between sucrose and coffee quality. What’s more, the lighter coffee blend maintained a sweeter and often fruitier flavor than some of the darker roasted coffees we sampled. Several studies indicate that sucrose makes a coffee’s bitter and sour notes seem milder and sweeter. 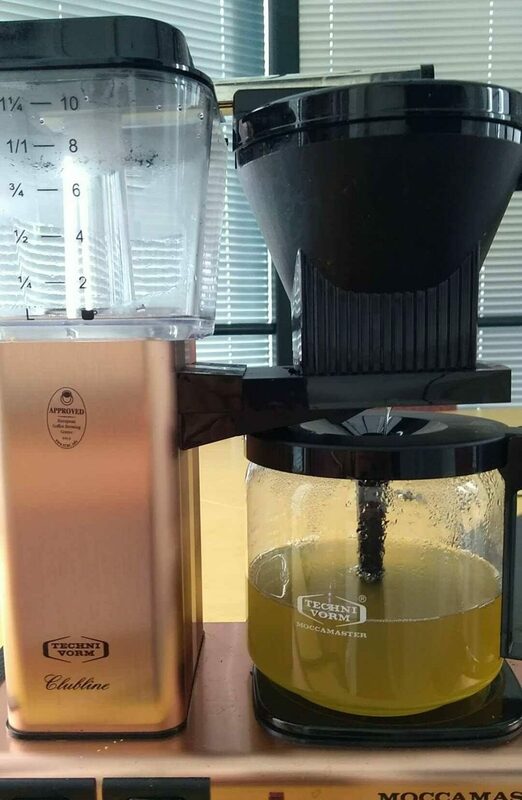 Finally, we used a Moccamaster to brew green coffee beans. The appearance was soup-like, yet the flavor was incredibly sweet. Our coffee roaster described it as a weak honey taste similar to that of tea. Yet again, it indicates that sucrose creates a sweeter flavor and is diminished during roasting. Check out Why Are Some Coffees Sweeter Than Others? Acids in food are a lot less frightening than they sound. In fact, they form several of the fruity flavors many of us know and love. In our work of creating a “designer” coffee blend, we had to find a way to distinguish between good, fruity, clean coffee acidity and unpleasant, lingering sourness. The key was to select the right kind of acid. Two of our pre-selected acids, citric and malic, are responsible for flavors we often associate with lemons and apples respectively. In coffee, they are said to be among the main contributors to a sharp, fruity acidity. And these are the types of acid we wanted. Other pre-selected acids include chlorogenic and quinic acid, both of which have been found to give coffee its astringent flavor. Chlorogenic acid can contribute to coffee body, despite having a somewhat unpleasant sour taste described as “green” or grassy. Quinic acid is often correlated with a bitter and astringent taste in coffee. In green coffee beans, both chlorogenic and quinic acid have been associated with commercial-grade coffee. This suggests that a reduced concentration of them results in higher-quality green and roasted coffee. This is the type of acid we wanted to avoid. Since our client wanted a coffee blend that would stand out for its acidity, we could pick blend samples that had the right chemical compounds for fruity acidity without the bitterness or lingering astringency. 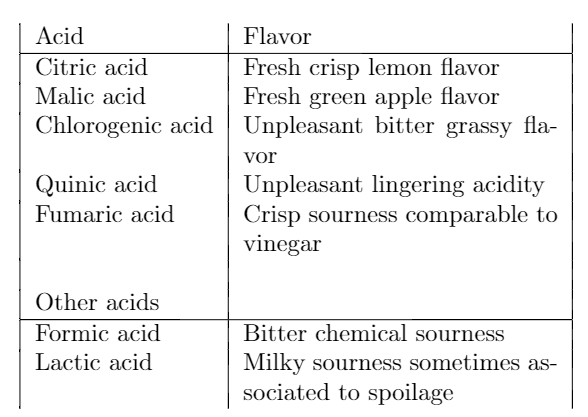 One other acid worth mentioning is fumaric acid, which is often associated with a fresh, sour flavor. In many of the studies we read, it was more of an afterthought. However, at the beginning of our project, our client implied that a competing commercial coffee blend had the type of acidity they were looking for. We did a chemical analysis of this blend and noticed a higher concentration of fumaric acid. As such, we looked for samples with a high concentration of fumaric acid in addition to malic and citric acid. We consistently found that blends with more fumaric acid had a fresh, crisp, sour flavor reminiscent of vinegar. Blind cuppings supported this. 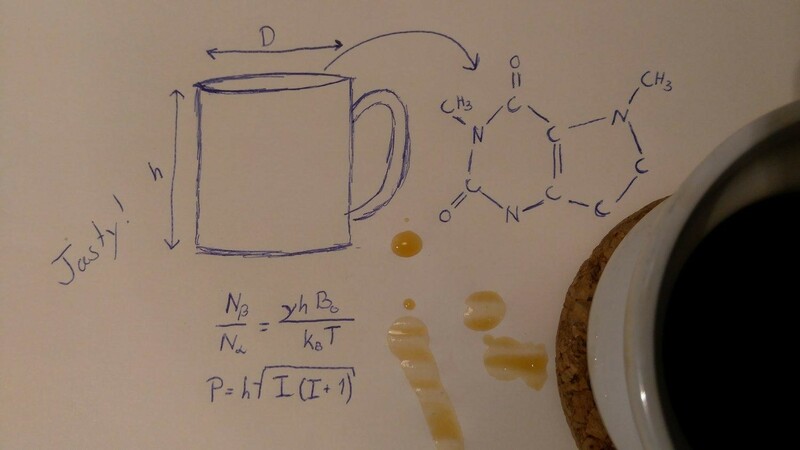 We cannot talk about coffee chemistry without mentioning caffeine. Coffee’s most famous molecule, it’s what makes you feel awake and energized. But when it comes to flavor, caffeine is reported to have a strong, bitter taste. In fact, caffeine has been found to bea significant contributor to the bitterness which forms our perception of the coffee’s “strength” (although it’s certainly not the only factor). The National Coffee Association of the USA (NCA) says that an 8 oz cup contains an average of 95 mg caffeine, with a range of 75 to 165 mg. Yet our Norwegian commercial samples had a range of 143 mg to 165 mg per cup. And, interestingly, the lighter specialty coffee had the lowest caffeine content. On the other hand, the commercial coffee reported as being the “strongest” had the highest caffeine content. We decided to use caffeine content as an indicator of the strong, bitter flavor of coffee. While bitterness wasn’t our goal, it was vital to have a little of it for balance. Many people will associate a certain amount of bitterness with a good cup of coffee. Join in with the debate! Bitterness in Coffee: Is It Always Bad? 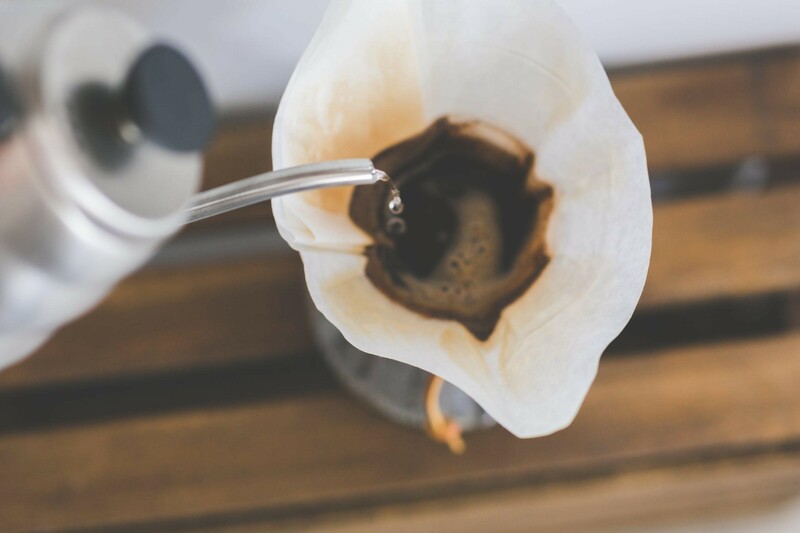 Coffee being brewed on a Chemex. Sweetness, fruitiness, bitterness, astringency… understanding all these flavors and being able to spot them in samples even before we head to the cupping table is a useful ability. It can help us in the pursuit of better-quality, more delicious coffee. It can even support producers and roasters in selecting farming techniques and roast profiles. And while there’s a long way to go, all new insights help us to get there. Of course, there are limits to what we can achieve. We are a company engaged in research and development within the food industry. While a scientific study would subject all results to a rigorous process of statistical analysis and peer review to ensure that results are as accurate as possible, and within an extremely narrow margin of error, we work in a commercial setting. This means we do not subject our results to the same process. Our company was founded with the mission of promoting transparency in food science, and we publish as much of our results as possible. Yet we maintain confidentiality regarding our clients, which means not all information will be disclosed. Moving forward, our results are still interesting and will hopefully promote an open discussion and further research. 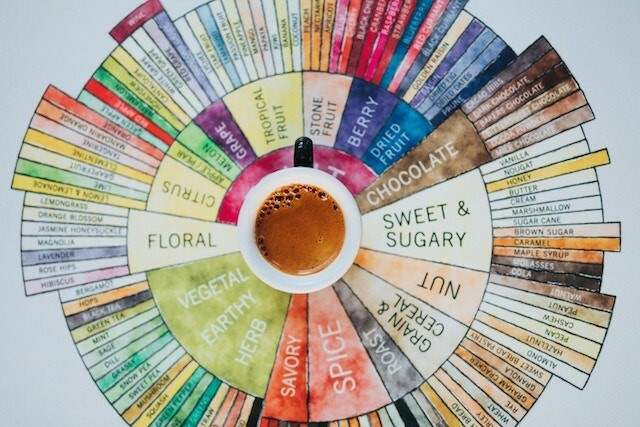 And in this way, hopefully we can take steps towards a more informed understanding of the science behind coffee flavor – and how roasters, producers, and all professionals can make use of it.